The Paris Hilton UFO Collection is elegant and sassy. 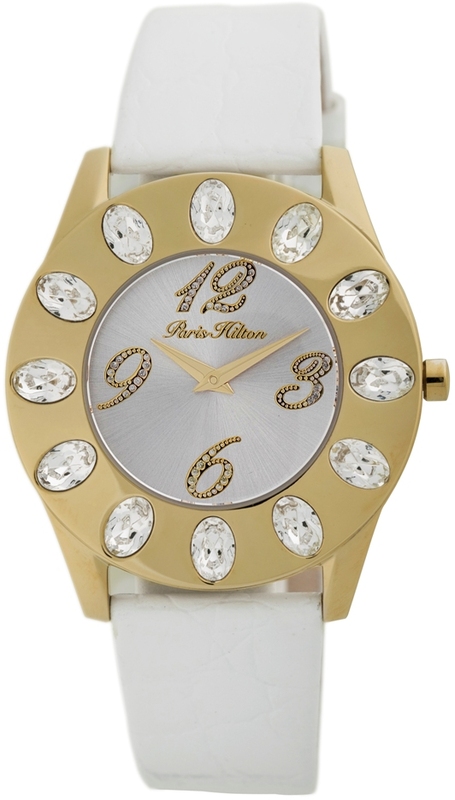 The Paris Hilton UFO features a crisp white leather strap with a yellow gold case completely surrounded by large oval crystals. The silver sunray dial with large yellow gold and crystal numerals at 3, 6, 9 and 12, for that bold, yet very feminine display. Yellow gold hour and minute hands complete the classic design. Pair the UFO with your gold bangles and bracelets for an opulent and very fashion-forward look!